Photo challenge: make a grid the centerpiece of your photo. Drill Monkey – Limbe Wildlife Centre, Cameroon. Perfect shot of this guy. And perfect entry in this challenge! Lovely photo but it makes me sad. You can tell he wants to be free. That is a very intense expression of what a grid gone wrong can do to a wild being. 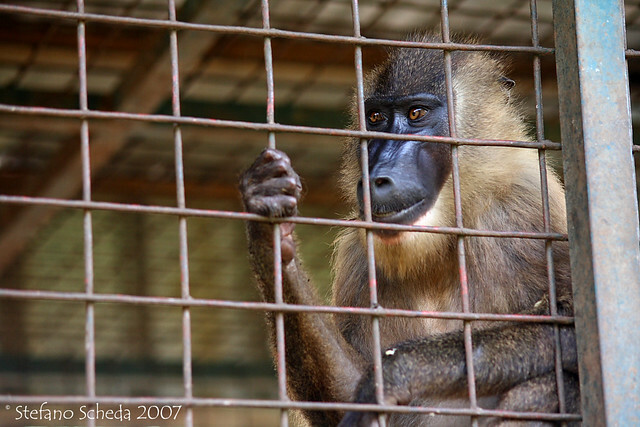 Any caged animal is usually a sad image, but the gaze of caged apes is always anguishing to me.